The Asian Human Rights Commission, as well as other human rights organisations have kept up a constant vigil on Lalith Kumar Weeraju and Kugan Murugan who were abducted on December 10, 2011 while engaged in putting up posters for the Human Rights Day. There had been no news about them since. However, some media channels in Sri Lanka and human rights activists have brought to our notice that, in fact, both Lalith and Kugan are being held in detention at the Police Welfare Building at Pettah, Colombo 11. 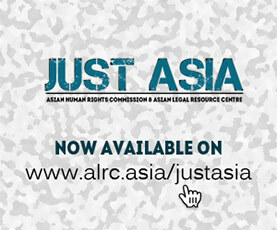 According to the information we have received the Human Rights Commission of Sri Lanka has been informed about their detention at this building and requests have been made for the Human Rights Commission to visit the premises and obtain their release. 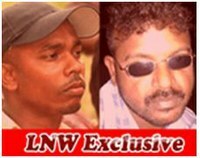 Lalith and Kugan also belong to the same political faction of the JVP as Mr. Gunaratnam and Ms. Attigala who were abducted and released after the intervention of the Australian government. This JVP faction formed themselves into a new party just this week under the name of the Frontline Socialist Party. Concerned persons request everyone to take steps to pressurize the Sri Lankan government to release these two persons immediately.